Reviewed as espresso. Rich, round, big. Dark chocolate, fresh-cut cedar, peach-like fruit, orange zest in aroma and small cup. Full, syrupy mouthfeel. Chocolate carries into a resonant though drying finish. Retains its rather massive mouthfeel and cedary chocolate in three parts milk, though shows best in taller milk. 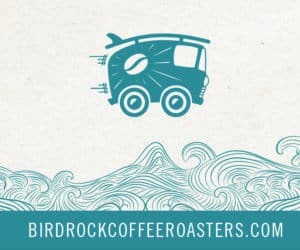 This blend is Red Rock’s “Seattle-style” espresso blend particularly designed for tall milk drinks. 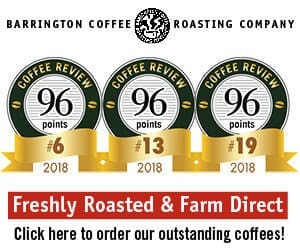 Red Rock Roasters was founded in Albuquerque, New Mexico in 1993 in a family barn and remains family-owned and focused on quality and freshness. 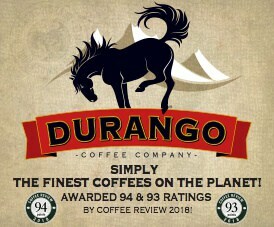 Visit www.redrockroasters.com or call 800-873-9793 for more information. Who Should Drink It: Those who enjoy big-bodied straight shots and milk drinks. Should be able to wave the flag for coffee even in tall, syrupy milk drinks.